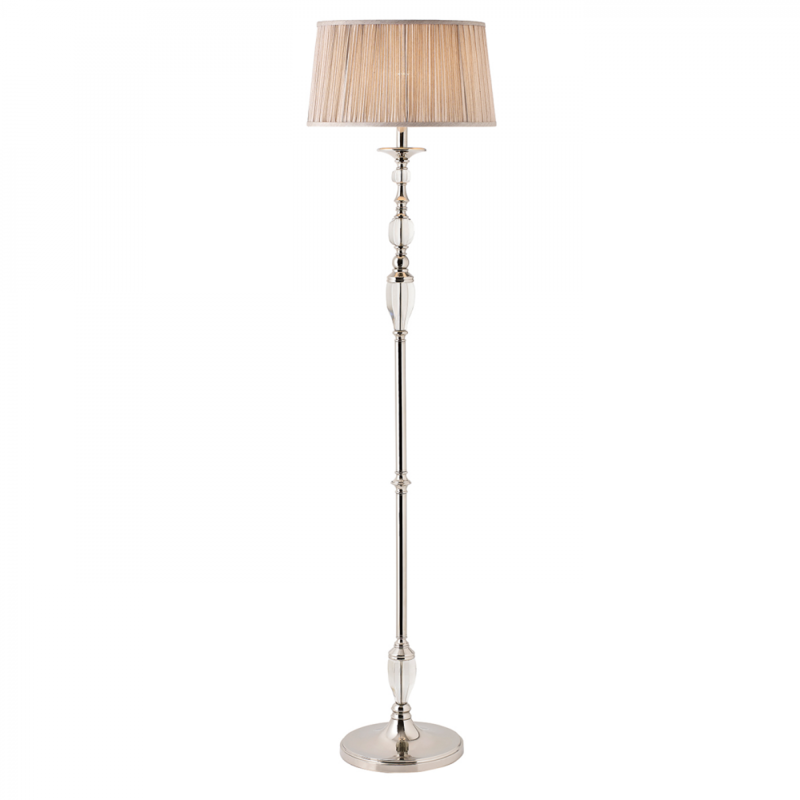 The Happy Homewares floor light is an elegant addition to any room. Finished in polished nickel with crystal glass detailing and teamed with a beige organza effect shade to give it an opulent feel. Compatible with LED lamps and matching items available. 184.5cm height x 34.5-43.5cm shade bottom oval.